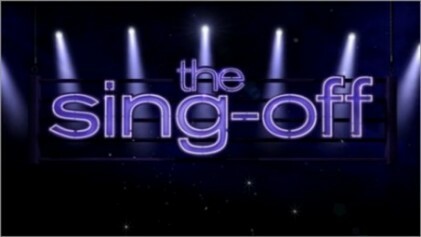 Later this year, The Sing Off will return to NBC for a fourth season and meanwhile, last season's champions are still riding the wave of success. Pentatonix exploded on YouTube following their victory last year, garnering millions of subscribers to their channel and video views. We had a chance to catch up with the group during a recent live show in Connecticut to talk about their success and their upcoming album, PTX Volume 2. It's the holiday season, so The Sing Off is bringing back groups from all three seasons to perform holiday and inspirational songs. The night kicks off with the champions from all three seasons, Pentatonix, Committed and Nota, take the stage with a spirited version of "Christmas (Baby Please Come Home)." A fun start to the show. When Season 3 started on The Sing Off, I didn't think Pentatonix would last very long, but as the weeks went on they grew on me more and more. Well, they finally won me over with three weeks to go and I fell in love. On Monday night, after America's vote, they were crowned winners of the season. Today we were part of a conference call with Pentatonix as they talked about their experiences on The Sing Off. 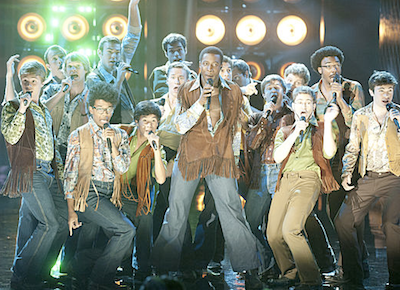 All season long on The Sing Off, the Darmouth Aires entertained judges and audience members alike with performances like "Pinball Wizard", "Midnight Train To Georgia", "Somebody To Love", and "Born This Way". They built momentum each week and made it all the way to the final two, but lost to Pentatonix in the end. Today, we talked to their frontman and one of the breakout stars of the season, Michael, about his time on The Sing Off.